The United Nations Foundation and the ExxonMobil Foundation joined forces in early 2012 to create a roadmap to catalyze program and policy action for women's economic empowerment. The United Nations Foundation and ExxonMobil Foundation joined forces in early 2012 to create a roadmap to catalyze program and policy action for women’s economic empowerment. UN Foundation has invested millions of dollars and years of focus on enhancing the lives of women in developing countries. This new research builds on our shared interests and expertise and engages partners across the research and program communities in a one-year initiative focused on producing rigorous and practical recommendations for action. The studies investigate, and the Roadmap will provide answers to practical questions such as: What is required for very small, subsistence level female owned firms to grow? What does the evidence say about the impact of business management training for female owned micro and SME firms? Which interventions are proven or show promise for increasing rural women’s productivity and earnings? What are the characteristics of successful women farmers producing high value crops in agriculture? Which childcare programs work best for employed mothers? Which financial services help poor women increase their productivity and earnings most effectively? How should they be best designed? Which interventions are most promising in helping young women find employment? 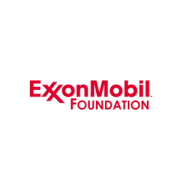 The ExxonMobil Foundation is the primary philanthropic arm of the Exxon Mobil Corporation in the United States. Founded in 1955 as Esso Education Foundation, the Foundation’s name was changed to ExxonMobil Foundation in 2000 following the merger of Exxon Corporation and Mobil Corporation. The Foundation has a strategic focus supporting education with an emphasis on math and science in the United States, promoting women as catalysts for economic development and ending deaths from malaria. In 2014, together with its employees and retirees, Exxon Mobil Corporation, its divisions and affiliates, and the ExxonMobil Foundation provided $272 million in contributions worldwide. The ExxonMobil Foundation seeks to have a meaningful impact by focusing the majority of its spending on creating economic opportunities for women, math and science education and malaria. The ExxonMobil Foundation supports programs that target global health issues, specifically malaria, because it believes that good health is a springboard to opportunity, achievement and development. Malaria is preventable, treatable and curable, and thanks to better awareness, prevention and treatment tools, global malaria mortality rates have dropped by 60 percent since 2000. The ExxonMobil Foundation supports a wide range of prevention, treatment, research and advocacy programs to end deaths from malaria. Globally, a strong emphasis on education empowers communities and builds the foundation for human progress. The ExxonMobil Foundation focuses on math and science education because they are — and will increasingly be — the universal languages of the global workplace and are critical tools for success in today’s high-tech world. Investing in women's economic participation provides long-term benefits to them, their families, their societies and their countries. Through the ExxonMobil Women’s Economic Opportunity Initiative, more than $90 million has been invested toward promoting women’s economic opportunities. Through our partnerships, tens of thousands of women in nearly 90 countries have been reached through training programs, networking opportunities and access to technology. The UN Foundation, a public charity, was created in 1998 with entrepreneur and philanthropist Ted Turner’s historic $1 billion gift to support UN causes and activities. The UN Foundation is an advocate for the UN and a platform for connecting people, ideas, and resources to help the United Nations solve global problems. We build partnerships, grow constituencies, mobilize resources and advocate policy changes to support the UN’s work for individual and global progress. The UN Foundation’s work - focused on select global problems - is decreasing child mortality, improving disaster relief, protecting diverse cultures and environments, creating a clean energy future, empowering women and girls, and improving U.S.-UN relations.